I've come across an issue with my Sims 3 Community/Exchange account where I am trying to download items for my game, however the website is telling me that I do not have a game registered to my account. 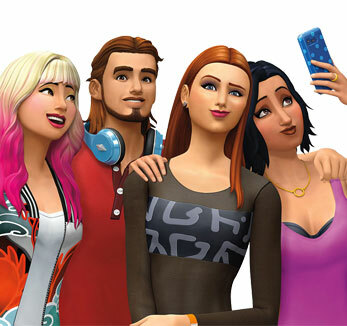 I have owned the SIMS 3 for many years now on Origin and I have also used the exchange countless times over these years as well. I was under the impression that origin games were linked to the account automatically which appeared to be the case before this issue began occurring. In terms of the issue, it only began yesterday (Friday 01/02/2019) after I logged in following the maintenance the other day on the site. Also, I have tried to register my product code that I have on Origin for the game however I simply saying "The serial code you entered is invalid. Please enter a valid serial code and re-submit." I have also tried the solution shown in the Maintenance patch section about resetting Cookies/Broswer History and Network DNS however none of this has resolved my issue. My SIMS 3 Launcher with me clearly logged into the SIMS 3 Online account and also examples of products I have previously downloaded. - Clearly showing I have been able to previously access the exchange but now I no longer can. If anyone could please help with this, then it would be hugely appreciated as it is very infuriating to now have this issue seemingly straight after the maintenance patches have been applied to the site. Also if anyone else is experiencing this issue, it'd be great to know. @LucState1995 You're correct that Origin and the store share information, so any game listed as owned in your account on one site should also appear on the other. I know that maintenance messed up a lot of functions temporarily, but everything is supposed to be back to normal now. One thing you could do is try a different browser; not all of them work well with the store. (I use Firefox, and I've never had an issue, but Chrome and Safari are problems.) Also, hopefully when you cleared your browser cache, you also declined to preserve data for favorite sites. By the way, the error you received when trying to register the codes is normal. It just means that the Origin/store database recognizes that someone has already used the codes, which you have. If a different browser doesn't help—please let me know—I can forward this thread to someone from EA. It might take a day or two to get a response, but hopefully they'll be able to sort things out for you. Thank you for your response. I have just tried to use the site both on Firefox and Internet Explorer, however unfortunately with both the issue is still persisting. So it doesn't appear to be a browser specific problem. Also, thank you for clarifying that the error message is indeed a normal and expected response. As such, would it please be possible for this to be forwarded on, if it could be, then that would be much appreciated. I am also having problems since the maintenance. I am unable to access the store items, all I get is 404 message. I have also followed the instructions for resetting the browser and the flush instructions. I have the issue with both IE and chrome. Could it all be linked? Thanks for letting us know of another issue with this. It definitely could all be linked. Certainly seems since the maintenance the other day that there have been a few issues. Guess we'll have to see when/if we hopefully hear back from EA with any info on this. This seems to be happening more frequently, and now I can't access any online options when I play. No welcome screen on the launcher. If anyone has a fix that hasn't already been mentioned, I'm all ears. @omegablue925 The typical first suggestion is to clear your Internet Explorer browser cache. Even if you don't use it, the game and store do for some purposes. Be sure to uncheck the box to preserve data for favorites. If that doesn't help, try pulling your entire TS3 game folder out of Documents and onto your desktop. There's at least one file in there that contains your login data, and getting it out of the way may fix things. Your saves would be in your old folder, but you could always transfer them over later once the issue is gone. This wouldn't help with the store login issue, though. And please post back if none of this helps. I'm collecting reports of this issue to forward to an EA community manager, but it'll be at least until tomorrow morning before anyone can look at this. Still, if everyone could click Me Too on the initial post and keep us updated, it would be a great help. @LucState1995 and @silverwood02 The same goes for you, and I appreciate your sharing the information. Thanks again for getting back to us and keeping us updated with the status of this. Of course, should anything change on my end then I will update you too. I look forward to hopefully hearing back from either yourself or a member of EA on this. @puzzlezaddict During play, the game froze, rebooted, and I could miraculously access online features again. @LucState1995, when you log into your thesims3.com account, could you please check the username in the top left corner of the page. Could you please share that username with me? Also, were you trying to log in from the website or throught the launcher?